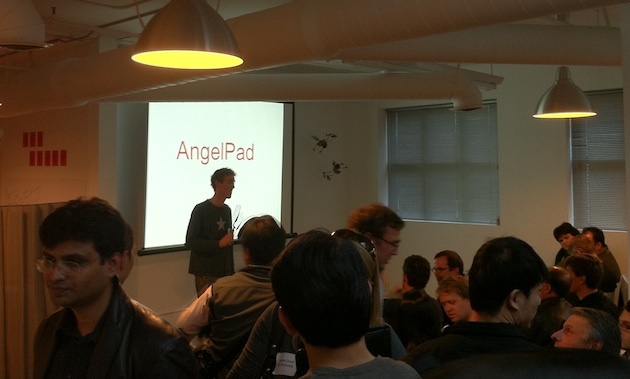 Back in August, we broke the news about AngelPad, a new incubator started by a group of seven ex-Googlers. A day later, we sat down with one of those ex-Googlers, Thomas Korte, to talk a bit about the project. At the time, the logistics of how everything would work were still being ironed out. Fast forward to today, not even three months later, and they’re having their first demo day. In total, eight startups are ready to graduate from the program today. We got a chance to sit down with each of them for a bit, and overall the quality of the companies is very impressive. This shouldn’t be too surprising given how many of them are also ex-Google or former employees of several other high-profile tech companies. MoPub is a startup aiming to reshape mobile monetization. The easiest way to think about their approach is as a DoubleClick for mobile applications. Essentially, they’ve created a system to serve up ads from several different ad networks depending on a variety of factors including inventory and targeting. The startup is founded by a group of ex-Google and ex-AdMob guys and one of the first things they showed me was Google CEO Eric Schmidt’s quote from our own TechCrunch Disrupt conference where he said that mobile monetization hasn’t been optimized yet. That’s absolutely the case, and one reason is that a really good system to run different types of ads hasn’t been created yet. That’s what MoPub is trying to do. They noted that a few companies have hacked together their own systems for showing various types of ads in their apps, but this can be tough because all of this stuff has to be approved, particularly by Apple. MoPub’s system would be an easy-to-integrate solution that would take care of everything on their end. The team notes that eCPMs are really low on mobile right now because there is basically no targeting. Obviously, a lot of startups are working on this issue but at least two of them, AdWhirl and Mobclix, are starting to drop the ball because they’ve been acquired. MoPub sees a massive opening and opportunity here. RollCall is an application to help small groups of friends get together while on the go. While there are no shortage of startups and larger companies that are taking on event planning, very few of them are doing it solely focused on the mobile space. And that is perhaps the best way to make plans these days. Using one of the service’s apps (they’ll have an iPhone and Android app out in a few weeks), you look for friends you want to invite to hang out and message them. You can then have conversations inside of this app as well as do things like vote on activities and eventually get recommendations for what to do. But the best part about RollCall may be that you don’t need all your friends to have the same app to use it. The entire system works over SMS or via an HTML5 web app. In that regard, it’s a bit like the group texting app Fast Society. But it seems like it’s much more robust, and should even be simpler to use. Recommendations are a big part of the plan down the road as they want to be able to give you and your friends things to do based on what you’ve done in the past. Curated.by has been making some noise on Twitter for some time now. Currently, they give Twitter users a way to curate tweets around a particular topic. This has been particularly useful during big events, like TechCrunch Disrupt. Using a browser extension, a user or a group of users can select tweets with a click to bundle them together. These bundles can then be viewed on Curated.by’s website or embedded on any other site. While they’re currently in the process of redesigning their service, they’ve apparently had over 20,000 tweets curated by users in just the past few weeks — and they’re still in closed beta. But this type of usage makes sense since they’re solving a big problem that Twitter has when it comes to the surfacing of particular content based on quality and not time. Eventually the plan is to move beyond just Twitter content to be a curation platform for many things on the web. AllTrails is the Yelp for people who enjoy the outdoors. You know, hiking, skiing, camping, all that stuff. They’re building up a database of all the best stuff to do in the wild with a major focus on trails right now. So far, they have over 42,000 trails around the world in their database. And they have some 19,000 reviews about those trails. The service has been up and running for a few months now with a website, but the next component they’re working on is the mobile experience. An iPhone app is currently in beta testing, with an Android app coming soon after that. The idea here is that you’d be able to take all the information you want about a trail on the go so you can see it when you’re actually on that trail. And if you don’t have a connection out in the wilderness (or in San Francisco for that matter if you’re on the iPhone), the app stores all the data it needs locally so you can have it all on you. And even if the data connection isn’t working, the GPS likely will be, so you can still follow a map of your trail. The service has some 27,000 registered users so far who have logged over 94,000 miles with the mobile app in limited testing. Adku wants to fundamentally change the e-commerce experience by making it more intelligent. Currently, if you visit a site like Zappos, you’ll see them highlighting winter gear for you. But what if you live in an area like Texas where it’s warm? Or what if it’s just unseasonably warm where you live at the moment? Most companies don’t have a good way to change their targeting on the fly. That’s what Adku wants to do. Using a bunch of signals, Adku would be able to dynamically change your e-commerce site to sell inventory that matters the most to the people visiting the site. For example, the San Francisco Giants just won the World Series, so people in San Francisco are obviously excited about that. Wouldn’t it make sense for online retailers to push Giants gear towards those people? But people in Texas (who the Giants beat) wouldn’t want to see that stuff, obviously. eBay apparently spends around $110,000 every time they want to change the main page of their site. With Adku, this could be done for much cheaper and much faster. And it’s not just about product inventory, they can do advertising targeting as well. This is another startup founded by a bunch of ex-Google guys who are most pleased with the prediction engine they’ve created. This engine can power the dynamic shifting of all sorts of things, even content on websites, they say. The craziest part may be that they’ve built this entire system in only 3 months. EggCartel wants to take what we all do on eBay and Craigslist and make it about a thousand times easier. That is, they want to greatly simplify the process for buying and selling stuff online. And they want to do it using the hot elements of the web today: social and mobile. The group of ex-Google and ex-eBay guys note that currently it can take something like 10 steps to list an item on existing services. With EggCartel they bring that number down to a few simple steps. In some cases, it’s as easy as taking a picture of an item from your mobile phone or scanning its barcode to get a listing up. And they realize the importance of pictures. When most people scan eBay or Craigslist, all they really care about is seeing pictures of the item they’re looking for. EggCartel puts an emphasis on the pictures. A couple of examples they give for where this type of system is perfect is the buying and selling of tickets on game days. Say you have a ticket that you’re not going to use. You can easily put it up on EggCartel simply by taking its picture. People around you can then check their phones and see that someone is selling a ticket nearby and ping you to start the transaction process. The company did an alpha launch about 9 weeks ago, and they’re already seeing about 40 percent of their 1,000 registered users coming back to buy and/or sell more items. 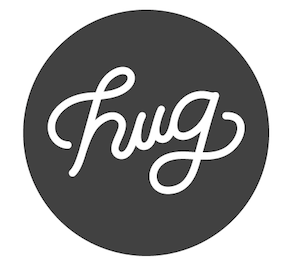 Hug Energy wants to help consumers track and cut their energy usage. But rather than doing this by way of a complicated smart meter system, they’re using a simple computer application for connected devices. Currently Mac-only, the app allows you to see exactly how much energy your computer is using throughout the day. You can also see more detailed analytics to show the trends of your usage. And you can send these results to your friends. The idea is that most people simply don’t realize how much energy they’re wasting. If they know, they’re likely to change their habits. But no one has created a good system to show them yet. While right now the focus is on computers, the next move is into the living room as more of those machines are connected to your network as well. Video game consoles and media players are the obvious plays here. Aside from getting people to change their wasteful energy behavior, the bigger idea may actually be getting people to upgrade (or even downgrade) their systems to more energy-efficient devices. Hug Energy would recommend new devices for consumers to get to help save the environment. This upgrade market will be a $54 billion by 2014, they note — that’s bigger than the entire Internet ad market. On the surface, Snip.ly may sound like a simple company. They offer a group of tools (extensions, bookmarklets, and a website) to allow you to easily share small snippets of content from your favorite articles online. But their goal is actually much bigger. They want to cure filter failure and content fatigue. In the age of Twitter, most people simply aren’t going to read full articles in the same way that they used to. They need a way to find the best parts of an article — and if that’s good enough, they might decide they want to read the entire thing. That’s the service Snip.ly is providing. When you’re reading something on the web and you find something you like, you simply use their tool to make note of it and share it on Twitter and/or Facebook. You can share a quote or a larger passage and you can include your own comment about why you like it. A users who clicks on it will be taken to a page with the full article in the background but with your snip overlaid for them to read. The larger play here is to be the “Pagerank for pages”. That is, they want to be a database for the best small bits of content online. Currently, Google and others show the initial blurb on a page below a search listing — Snip.ly would like to replace that blurb with the most popular snip from the page. The service has been live for about six days and people have already shared over 10,000 snips.